Your support of our playDECENT.gg announcement and partnership with PlayVIG has been incredible. A lot of time and hard work has been put into developing this product launch, and hearing the enthusiasm from the community has made it all the more worthwhile. Along with the product, we’ve been developing unique branding specific to playDECENT.gg. 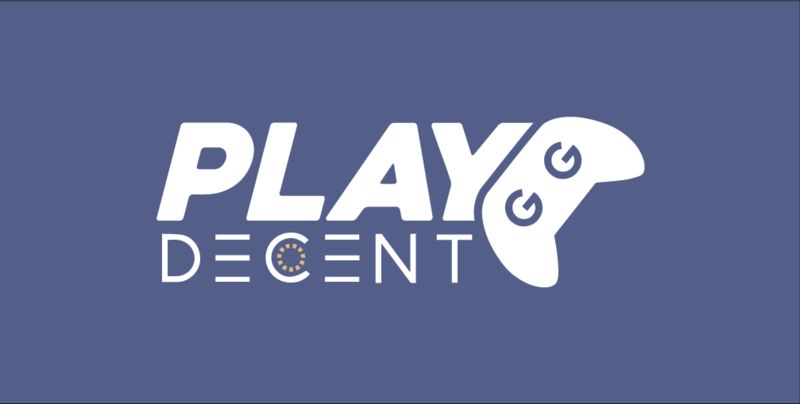 With that in mind, we’re proud to reveal the playDECENT.gg logo! We will be creating different color palettes for different types of usage in the coming weeks. However, this will be used on the website, collateral, and more as we gear for launch. If you haven’t done so already, please visit http://playdecent.gg/ and sign up for product and promotional information.